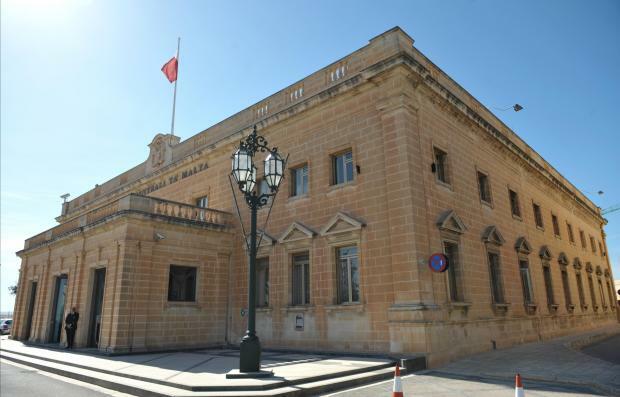 The Business Conditions Index compiled by the Central Bank of Malta eased slightly in March, dropping to 0.6 from a revised value of 0.7 in February. It continued to indicate above-average economic conditions. The BCI was affected by lower economic sentiment and industrial production, and supported by conditions in the labour market. In March, the Economic Sentiment Indicator (ESI) fell to 102 from 110 in the preceding month, standing slightly above its long-term average of 100. The ESI stood four points lower than that recorded in the euro area. In March, lower sentiment was registered across all components with the exception of the retail sector. The largest declines were registered in the services sector and among consumers. Sentiment in the services sector almost halved, standing at 22 in March, from 40 a month earlier. Following this fall, it stood below its long-term average of 23. Lower sentiment reflected developments in all subcomponents. Supplementary survey data indicate that in March, employment expectations were less optimistic than in the preceding month. Meanwhile, the share of firms anticipating higher prices increased. Consumer confidence declined to -1 from 6 in the preceding month, the first negative reading since September 2013, though it still remained above its long-term average of -12. The recent decrease largely reflected a larger share of respondents expecting to make fewer major purchases over the next 12 months. However, consumers’ assessment of their financial situation over the past year and their expectations for subsequent months also weakened. At the same time, expectations of the general economic situation remained broadly unchanged. Additional data show that fewer respondents expected unemployment to fall in the months ahead. A smaller share of consumers expected their savings to increase, while fewer respondents foresaw higher prices going forward. Similarly, sentiment within the construction sector also edged down, although by a relatively smaller amount compared with the other sectors. It fell to 32 in March from 38 in February, but remained well above its long-term average of -14. The fall in confidence was driven by less optimistic employment expectations and, to a lesser extent, by a reduction in the share of respondents reporting increased order book levels. Additionally, fewer participants reported an increase in building activity over the preceding three months. At the same time, more respondents expected prices to increase over the next three months. Industrial confidence also turned negative, reaching its long term average of -3 from 1 a month earlier. The fall in sentiment was mainly driven by deterioration in firms’ order book levels, which offset increases registered in other sub-components. Supplementary data show that a smaller share of respondents expected employment levels to rise in subsequent months. Going forward, firms anticipated a decline in selling prices in the three months ahead. In contrast, confidence in the retail sector accelerated to 29 from 5 a month earlier, and stood well-above its long-term average of 3. The recent rise in sentiment was driven by both past and future expectations of business activity. Firms’ improved assessment of stock levels also contributed, as a significantly smaller number of firms reported increasing stocks. Additional survey data indicate that on balance, fewer respondents predicted lower prices and an increase in their employment. The information was part of the CBM’s Economic Update published on Wednesday.